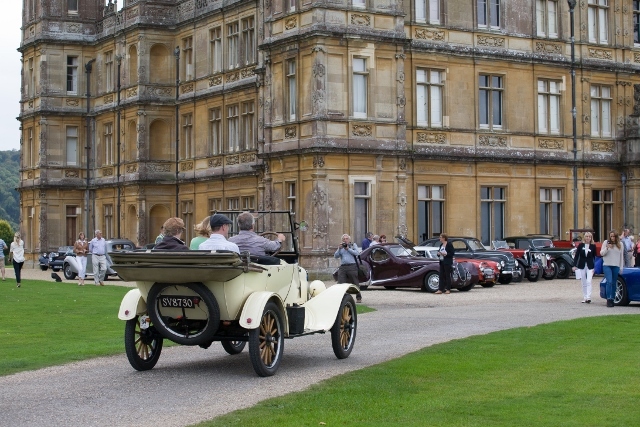 The result of their endeavours was the Highclere Classic Car Rally which saw 50 classic cars from across the region being driven from the Ark Conference Centre to the historic ‘Downton Abbey’ home of the Earl and Countess of Carnarvon. The rally – organised by Geoff’s widow Cilla, and friends Philippe and Sue Allison, and James and Karen Phillips – began with a presentation by Ark Cancer Centre Charity trustee Merv Rees. The cars then travelled in convoy along a 27-mile route through north Hampshire and west Berkshire. The rally passed through Ramsdell, where Geoff farmed, and the bells rang out as the cars passed St Stephen’s Church, in Baughurst, where he is buried. 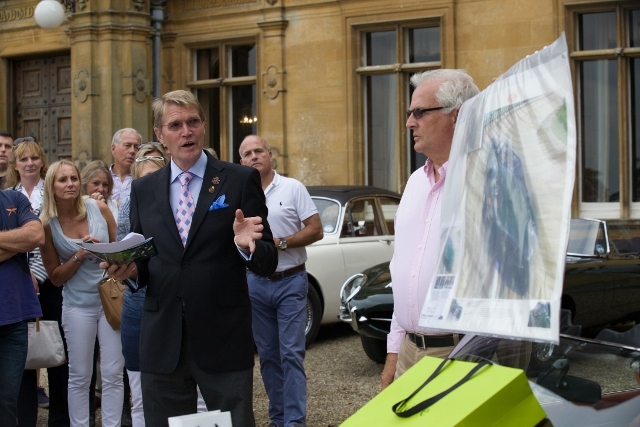 Crowds lined the route to clap and cheer on the 150 participants and their cars, which included a Citroen Light 15 Roadster, Ford Model T, Aston Martin Vantage V125, Bentley Continental R, Bristol 406 and the Earl and Countess of Carnarvon’s Rolls Royce Phantom 111. Cilla and Lady Carnarvon presented Merv with a cheque for £30,000 – the figure was boosted to this sum thanks to match-funding from Greenham Common Community Trust, which was represented by chief executive Julian May. The amount raised was further boosted by the £3,440 proceeds from a promises auction, administered by local businessman Michael Byng.